The roots of the program are found in the Amiga scene, in the early nineties (1991). Back then, it was called Comic Book and the first version was written using Amiga Basic. Because of the graphical power of AMOS, still on the Amiga, I rewrote the program. Back in 1994 (or so), when I switched to the PC platform for development, the program was again rewritten using Visual PL/I under OS/2 Warp. To reflect the new platform, I changed the name to Collect. With the arrival of Windows 95 and the dying of OS/2, a new development environment was needed. Delphi 3 was the answer to my prayers and (again) the program was rewritten. A few years down the road, Delphi 7 had arrived. I wasn't too happy anymore with the user interface, so, another rewrite of the program was needed. 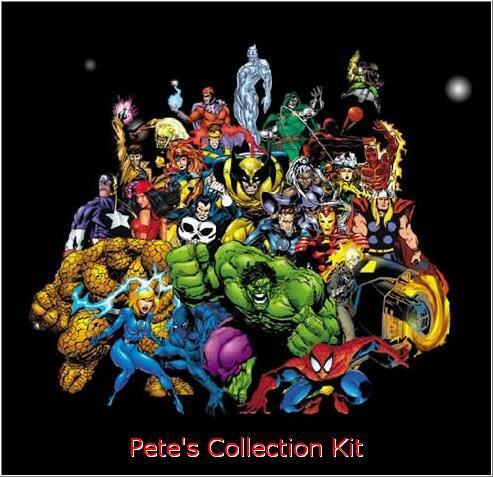 I decided to change the name once more and thus Pete's Collection Kit was born. The earliest version of PeCo KIT is version 3.00 (dated March 18th, 2005). Since the last version of Collect was 2.03, I thought it would be nice to just continue counting. Well, PeCo KIT helps you to keep track of your comic collection. But if you use the given data entry fields in a clever way, you can also keep track of other stuff like your CD, DVD or trading card collection. PeCo KIT can create a list of stuff that you own, but it can also create a list of stuff that you still need. And because everybody likes to see what's in his (or hers) collection, a picture of each item can be shown. a line if you have anything to say about the program. To me, user input is very valuable for it helps me to make the program even better.